There's only few hours left and we are saying goodbye to 2018. It's maybe cliche, but time flies really so fast! It's been a roller coaster year for me and there's so many things that happened both good and bad. Growing up, I've learned to be thankful for whatever is happening in my life because I know, there's always a reason for everything. Let's forget all the unpleasant experiences of the previous year and look forward to the happy things kept in store for us. Anyway, leaving that full time job has opened a lot of opportunities for me and here are some of the best things that happened to me this year that I'm thankful for. 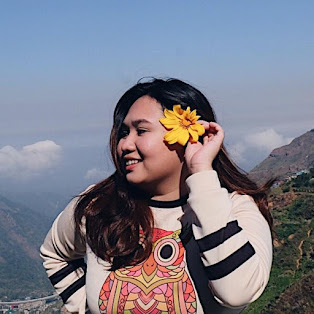 Earlier this year, I went to Baguio with my boyfriend for my 22nd birthday. It's our first out of town trip together. This is very special for me because we got to spend 2 days together away from the toxic life of the city, away from work and stress in life. Going out of town with him rarely happens because of his work that's why I consider this one special. Hoping to travel more with him this 2019! One of the highlights of my 2018 is becoming a Beauty Ambassador of Althea Korea. I'm an avid K-Beauty junkie and Althea lover! Getting the first dibs of their products is a privileged for me! Aside from that, they always send me exciting rewards and having the chance to work hand-in-hand with Althea. After leaving the corporate world, I started accepting writing gigs again. I applied on Upwork but I was declined twice. I started to loose my hope and since I needed to support my self, I tried different freelancing platform like Truelancer and GoLance. It took me a few months before I got my first client. Before 2018 ends, I tried to re submit my application on Upwork and without expecting anything, it was approved! Yes! Another blessing this year was my blog being monetized. I started earning through Google Advertisement. Half way this year, I was reunited with Marrien and Will. We decided to revamp our former blog group ( Pampanga Bloggers Society) I also met Gelleesh and S Wanders after 3 years! Cheers to more blogging opportunities for all of us! This year, I met so many blogger friends from all over the country! Last July, we had a Bloggers meeting at Park Inn and I met some bloggers from Pampanga. After a few months, I attended Blogapalooza 2018 and I met some bloggers from the north and became friends with them. Evey year, I am thankful because there are brands out there that keeps on supporting and trusting my blog. This year, I got the chance to connect with the Local Government units for tourism promotions. Before this year ends, I would like to thank all the brands who worked with me in Beauty, Lifestyle, Travel, Food, and Hospitality industry. I hope to work with you all again next year! One of the best highlight of my 2018 is I got a chance to travel locally because of work. Travel opportunities with work allows me to earn and to see places that I have not seen before. It also gave me an opportunity to meet a huge of diversity of new people in every single place I visit and I'm very thankful for that. This New Year my wish for all of you is that you should be at peace with yourself as you feel connected with your soul. Remember, genuine success comes only to those who are ready for it. So never step back and always have courage to accept new challenges. Wishing you a Happy and Prosperous New Year! Congratulations on your 2018 achievements, keep it up and catch all the opportunities that will knock on your doors, and windows :D 2019 will be more exciting! Ohhh you have a lot of things to celebrate last year! Congratulations! I think 2019 will be a better year! You did awesome this 2018 Nicole! Congrats on blogging work and freelancing gigs ;) May this 2019 be more bountiful for you!